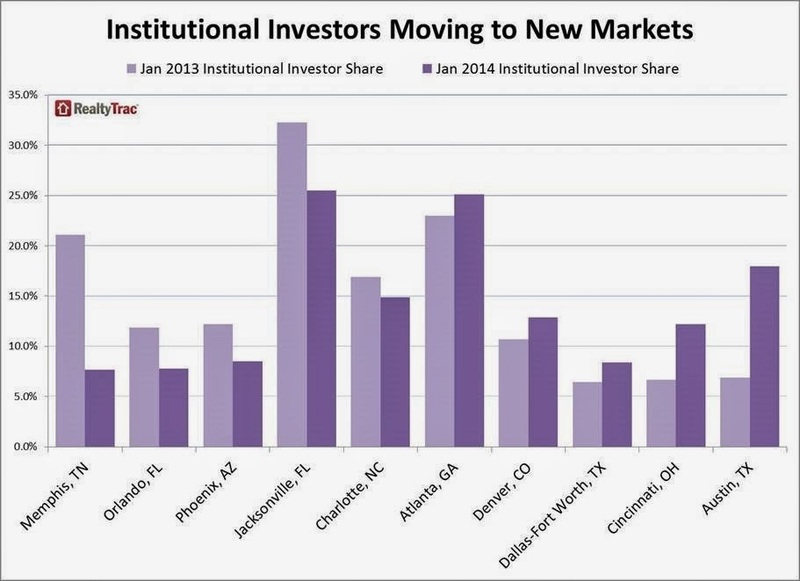 .......they are shifting their remaining investment capital to new markets. 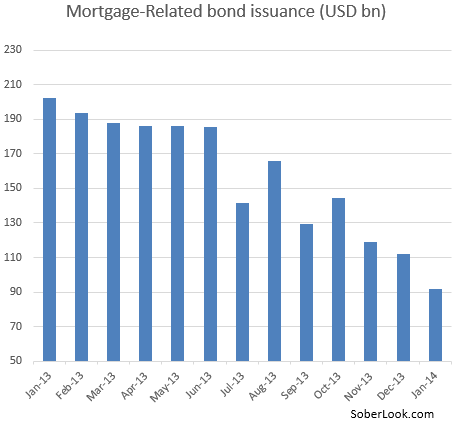 The chart below shows the steady decline in mortgage related bond issuance since mid 2013 when rates began to rise. 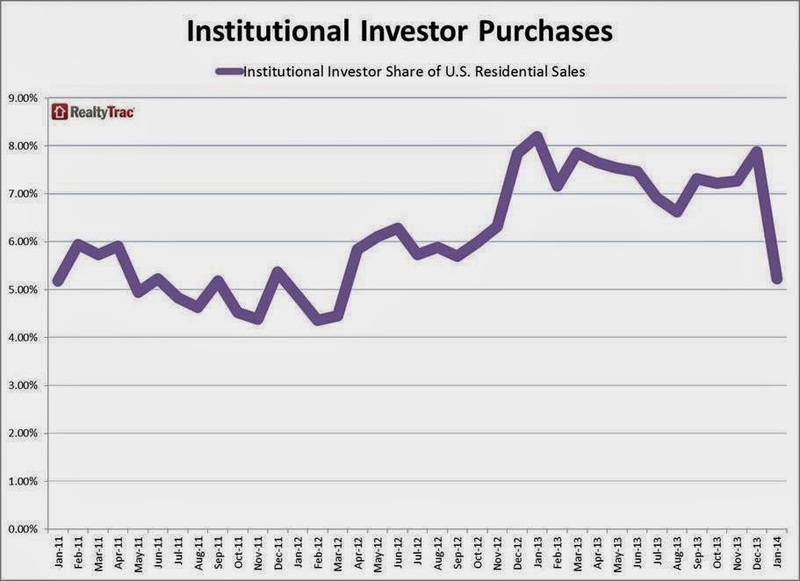 This reflects the importance of institutional and cash buyers in the market and illustrates the trend toward renting homes. 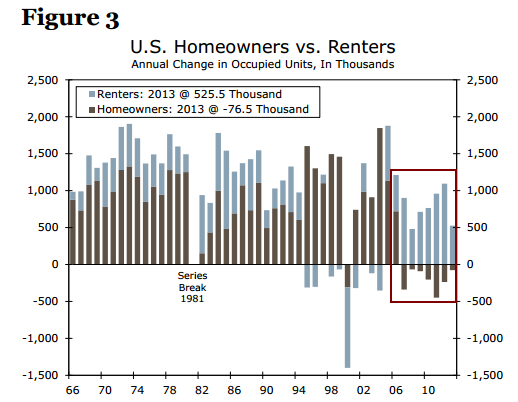 If the trend from home ownership toward rentals is a secular trend, then the decline of the institutional share in the market could be devastating. 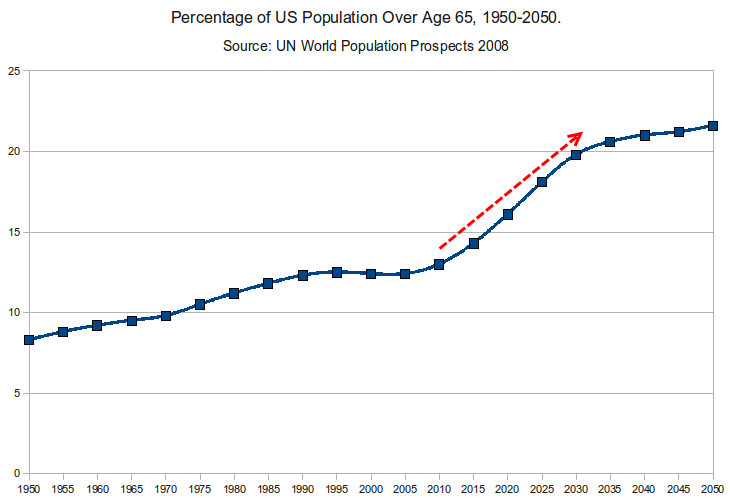 Not helping this secular trend is the percentage of the population rising above the age of 65. This group wants nothing to do with their now empty five bedroom suburb mansion, and a large portion of them will favor the benefits of renting during retirement (smaller homes/condos/apartments which are maintenance free). 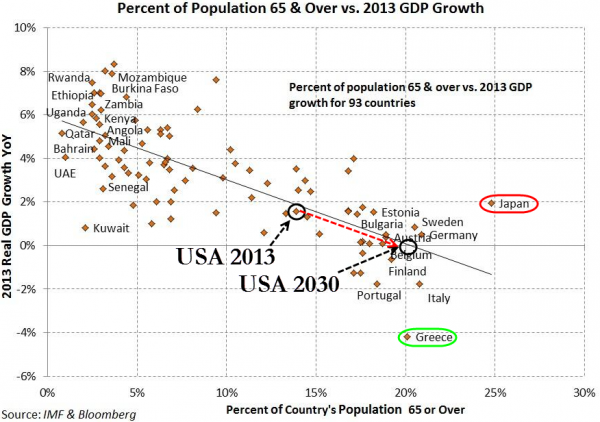 Putting this demographic shift into context with the remainder of the world, the chart below shows the percentage of the population over 65 vs. GDP growth of various countries. While the U.S. will swim against the demographic tide over the next 20 years, it is nothing compared to the tidal wave that is about to wash over Japan.